The industry leading mop bucket and wringer. The new RCP Disposable Mop reduces the spread of dirt and grime, resulting in cleaner floors. Click to learn more. The Scrubbing Wet Mop features an integrated scrubbing headband that removes stuck-on messes faster without interrupting the mopping process. *Based on produce stored in RCP FreshWorks™ Produce Saver vs. traditional food box. Slim Jim® Under-Counter containers are designed with an angled opening, providing 2X more access under the counter than traditional slim containers. Slim Jim® Cleaning Accessories make mobile waste collection and cleaning in tight spaces easier than ever. The new RCP Spill Mop helps clean up spills faster, so the floor dries quicker. The new Maximizer cleaning tools from Rubbermaid Commercial Products help workers save time by reducing steps in a task, reducing the time of a step and reducing user effort. BRUTE® accessories are designed to improve productivity and make users more efficient each and every day. Customized recycling - Choose from 7 colors and 4 lid openings to customize a recycling station that fits their unique recycling needs. Rubbermaid Commercial Products offers the full breadth of front- and back-of-house products to facilitate the collection and movement of waste and recyclables. Built to adapt to your needs with a variety of integrated features that make the job easier. Click to learn more. Touch-Free Skin Care Dispensing System Powered by Light. Click to Learn More. New innovative step-on features designed specifically for commercial use. Click to learn more. Sleek, modern, and compact passive air care solution, designed with you in mind. Click here to learn more. Color-Coded Foodservice System, seven colors of storage and prep tools to help reduce cross-contamination. The Slim Jim® container with innovative venting channels designed to make lifting liners 80% easier. Waste solutions built with unmatched quality. Click to learn more. Designed to satisfy the diverse needs of any facility. Click to learn more. Environmentally friendly air care solution, built to last and last. Click to learn more. Providing a customizable recycling solution with sleek, smooth surfaces and contoured edges. Their modern appearance will fit seamlessly into any indoor or outdoor commercial environment. Click to learn more. Cleans floors faster, with less effort. Click to learn more. 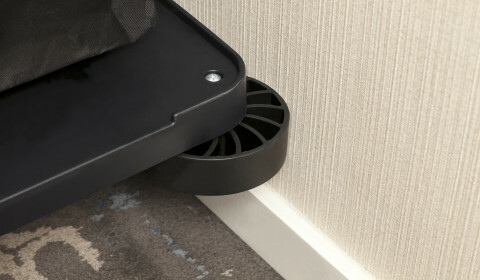 Industry's most durable cartless solution for housekeeping, janitorial, and maintenance environments. Collapsible frame enables efficient collection with a compact footprint for storage.